I know all you Brown Eyed girls have been waiting for this post, but today I’m going to show you the best eye makeup to wear if you want your brown eyes to look brighter or if you are the opposite and you want to tone your brown eyes down, there are things you can do too. So keep reading to find out because this post is all for you Brown Eyed girl! I think brown eyes are so pretty and actually you are pretty lucky because EVERY color as far as eye shadow or eye liner looks great with brown eyes. Brown is such a neutral you can wear whatever you want and it will compliment your eyes really well. But there are some that make them pop even more or some colors that will tone brown eyes down. If you want your brown eyes to pop and look brighter colors like purple and teal are your best friend. They are going to emphasize all the brown tones in your eyes. Here are some options for this. Navy and green are also colors that compliment brown eyes. 1 // Maybelline Colorstay Tattoo in Painted Purple: These are amazing to wear alone or as a base before applying eye shadow. 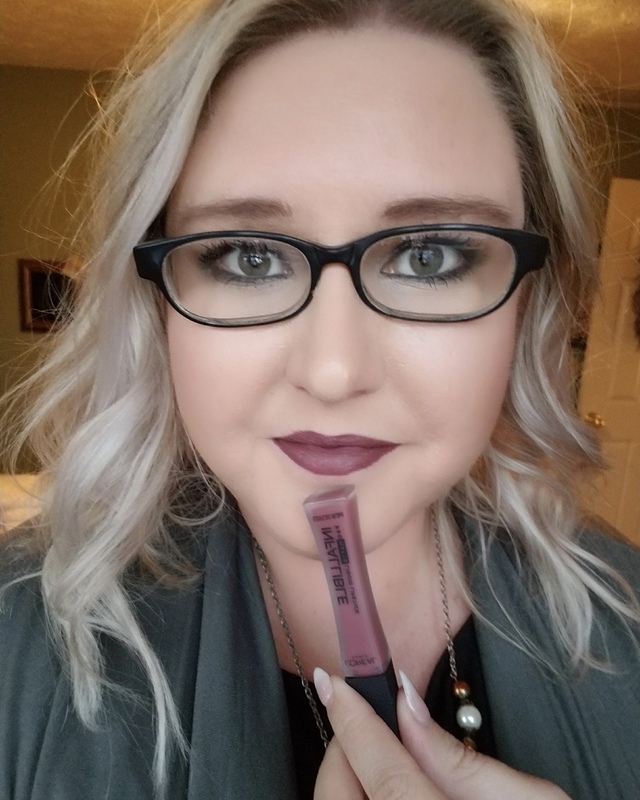 This is a beautiful vibrant purple, but if you are not comfortable wearing this by itself pair it with a deeper purple eye shadow and it will look amazing. Mine is a little dry because I’ve had it for like 2 years now, but they are super creamy when you first buy them. 2 // Nicka K New York Shimmer Eye Liner in Green: This is a very long lasting liquid liner that will stay put all day long without budging. It’s a gorgeous green color but to me it leans more towards teal. Perfect liner paired with a brown/bronze neutral eye for a fun pop of color. Received this in an IPSY Bag. 3 // Milani Bella Eyes Eye Shadow in Bella Teal: This color is absolutely stunning, if you have brown eyes or you just love teal please get this, it’s crazy pigmented and will look great on everyone. If you don’t want to use this on the lid, smudge it under your bottom lash line. If you want to tone down your brown eyes… not sure why anyone would want to do that but that is an option and we all love options, options are good. Use colors like bronze and peach. Here are examples. 1 // Prestige Cosmetics Total Intensity Color Rush Shadow in Makeup Your Mind: This is a gold/green/bronze shadow and it is so so so pretty. I’m probably going to do a post soon on these new shadows, so stay tuned. 2 // Elizabeth Mott Smooth Shadow Liner in Penny: This is a bronze/copper shadow stick that is great for smudging along the top or bottom lash line. It can be used all over the lid but it has a small tip and I get impatient with that haha! 4 // Milani Bella Eyes Eye Shadow in Bella Bronze: I swear I talk about these all the time, but this is a really nice every day bronze color, you can wear it all over the lid and smoke it out and it will look amazing. So there you have it brown eyed girls, these are the colors you can wear to highlight or hide your brown eyes (still I don’t know why anyone would do this brown eyes are so pretty). I hope this helped and gave you some inspiration for what colors to look for next time you go makeup shopping. Holla if you have brown eyes? If you could have any eye color what would it be? Check out these post if you have Green or Blue eyes! This is perfect! I so need a beauty blogger in my life. Love your suggestions. Happy SITS Day – following you on Twitter. Thank you so much for linking up this post in last week’s Beauty Frenzy Friday party! I wanted to let you know that this is one of the feature posts from last week’s party!! And I also wanted to let you know that Beauty Frenzy Friday for this new week is now open and I cannot wait to see what you have been up to!! Great options. It’s hard to find a great color palette that doesn’t look like paint with the brown eye. Purple is a really pretty color for any eye I think, and it’s my favorite color. Like I showed in the post, I definitely recommend Milani in Bella Teal because it is a true teal, but also very affordable so you aren’t wasting money on something you may or may not like. Navy does sound like it would be pretty! Yay! I’m a brown-eyed girl so I’m pretty excited about this. I love being able to use makeup to bring out my eye color. Thanks for the tips and ideas! You are welcome, definitely try some of these out!! Oh wow, I love that gorgeous bronze-y color!! Thanks for sharing these tips, Anna! I just picked up some Milani eye shadows and LOVE them!